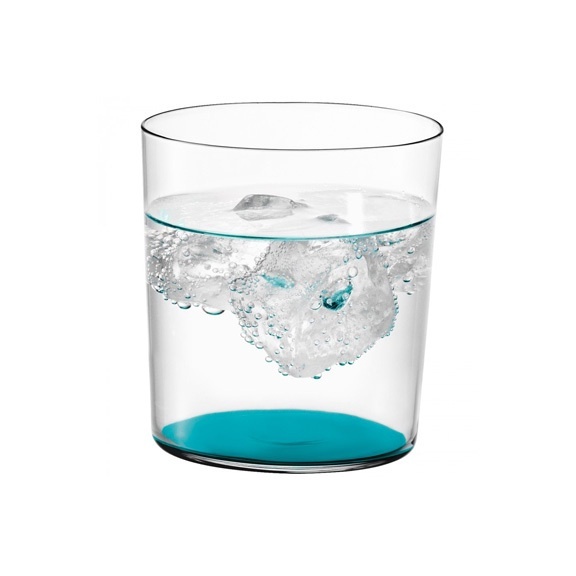 LSA Gio Ocean Glass Tumbler. Lightweight and stackable, this practical tumbler is suitable for everyday use. It has a coloured base which reflects on the surface when filled with water. Mix and match with other colourways in the Gio collection to create your own assorted set.